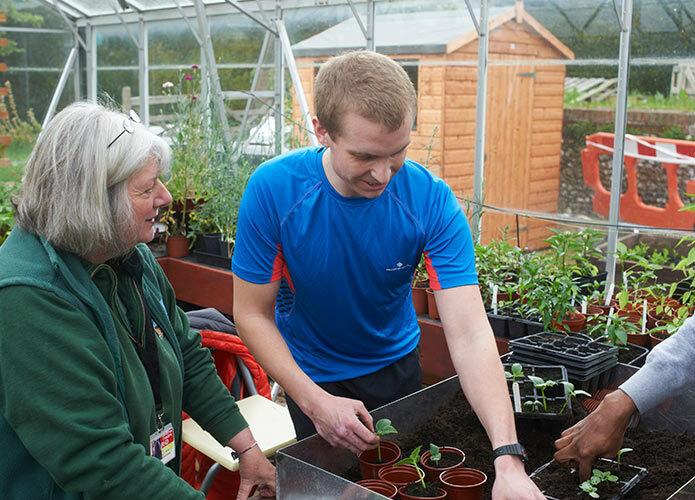 ABF The Soldiers’ Charity has recently given a grant to HighGround to assist with the continuation of its Horticultural Therapy service for patients at Headley Court. In addition, the gardens which Carol Sales, HighGround’s Horticultural Therapist, has developed are now used as a therapeutic environment by staff. Patients are referred to Horticultural Therapy by their Occupational Therapist to increase standing tolerance, for diversion from pain, improving fine motor skills and much more. Patients report feeling calmer after sessions of Horticultural Therapy.